Hydraulic cylinders, Evergreen Cilinders is leading in offshore, dredging, civil engineering, shipping and lifting appliances. Sea and climate proof. Cylinders that meet the requirements of offshore wind. Durable and reliable. Evergreen Cilinders is an established name in the dredging industry. Solid and secure engineering. Custom-made cylinders for bridges, floodgates and other civil objects. Robust and resistant. Hydraulic cylinders for lifting appliances like lemniscate cranes. Evergreen Cilinders is specialized in the design, production, modification and maintenance of hydraulic cylinders. We are experts in custom-made solutions for offshore, dredging, civil engineering, shipping and lifting appliances. All over the globe, our cylinders are deployed for dredging activities to the full satisfaction of our customers, aviation and maritime operations and civil engineering. Evergreen Cilinders stands out from the competition by quality, flexibility and the fast service we deliver. We offer expertise and a no-nonsense approach. Evergreen Cilinders is a reliable partner for the entire lifecycle of cylinders. 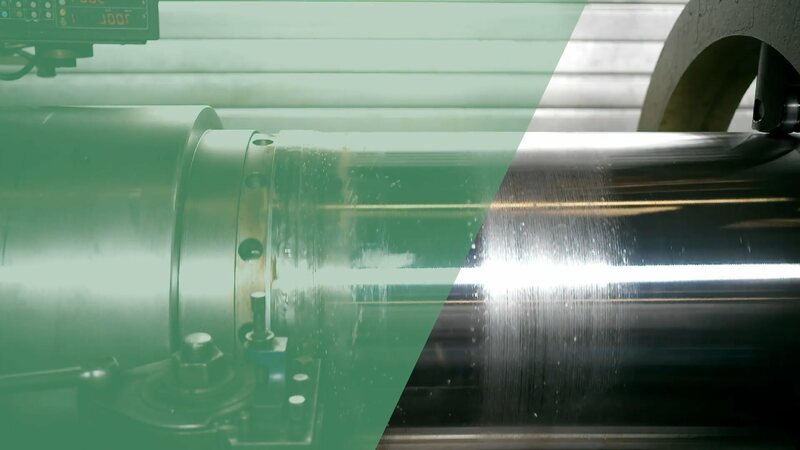 You can rely on us for purpose-made solutions – from design to production – and we ensure optimal performance through maintenance and modification of hydraulic cylinders. Even if they were manufactured by third parties.